With tailor-made innovation methods we support our customers in innovation management: from structuring and planning to inventing and marketing breakthrough innovations. 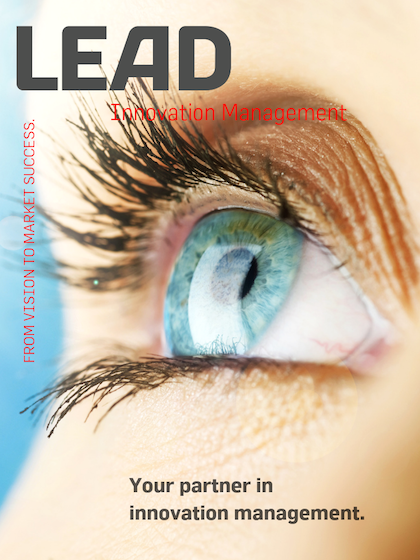 The innovation development in the area of products, processes, services and business models with the help of the LEAD User Method. Innovation management is the systematic planning, control and monitoring of innovations in organizations. It includes all measures to promote and use innovation - renewal - in the company. The focus is not only on the new, but also on the benefits of the innovation. The goal is new and improved products, new business models or new processes. As an innovation partner, we accompany you with tailor-made projects to your innovation success - from the strategy to the development and implementation of innovations.